The Liberian Government through the Ministry of Foreign Affairs has confirmed that the four Liberians shot in Turkey are now undergoing medical treatment at a leading hospital in Istanbul where they have been placed on bed for intensive and continued medical care. A Foreign Ministry release says the treatment of the four Liberians follows series of bilateral discussions held between the Foreign Minister of Liberia, Augustine Kpehe Ngafuan and his Turkish counterpart Professor Ahmet Daavutoglu, followed with the dispatching of Liberia’s Senior Ambassador-At-Large, Marcus Koffa, to Turkey. The four Liberians, Bemore N. Toe, Patience Roberts, Deddeh Simmonds and Blessing Vinton,were shot a few weeks ago by an unknown gunman at a coffee shop located in Sisli Mecediyeko around the Trump Tower in Istanbulin Turkey. Ambassador Koffa who has been in Istanbul for about two weeks now also visited the Turkish Capital Ankara last week and held discussions with the Head of Consular Relations at the Turkish Foreign Ministry where the Liberian Envoy was briefed on Turkey’s efforts in resolving the situation including instructions from the Turkish Minister to his counterparts from the Ministries of Health, Justice and Interior on the issue of the four Liberians. The release disclosed that the Turkish Ministry of Health sent instructions to Istanbul for the victims to be given full medical treatment and that Ambassador Koffa was present at the homes of the victims who were driven by ambulances to the hospital in Istanbul. At the same time, Minister Ngafuan has personally been in contacts with the victims and speaks with them regularly while Ambassador Koffa, a renowned and seasoned diplomat, is in contact and giving updates to the Minister at least three times a day. The Ministry has also revealed that it provided some incidentals to help with the upkeep of the victims. The release also adds that a family member of the victims who received full sponsorship from the Liberian Government via the Foreign Ministry hasalso arrived in Istanbul and is helping to provide them domestic care while in hospital. Meanwhile, the Foreign Ministry says it has received confirmed report that the Liberians were not targeted in the unfortunate shooting incident. A Turkish national and the owner of the Café were also among those shot during the incident, the release says. However, the Turkish Government says it is taking the situation very seriously and has assured the Liberian government of its determination to have the perpetrator arrested and brought to justice. 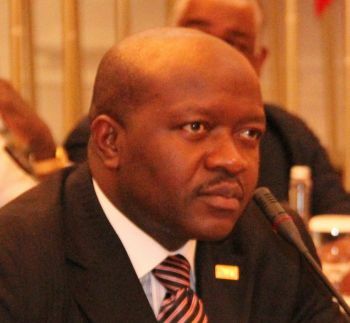 The Ministry adds that no time has the Liberian government been insensitive to the plight of the four Liberians but says the situation is being handled diplomatically. The Ministry notes that Liberia and Turkey have been handling the situation with care so that it does not affect the cordial diplomatic ties subsisting between the two sisterly nations, the release concluded.